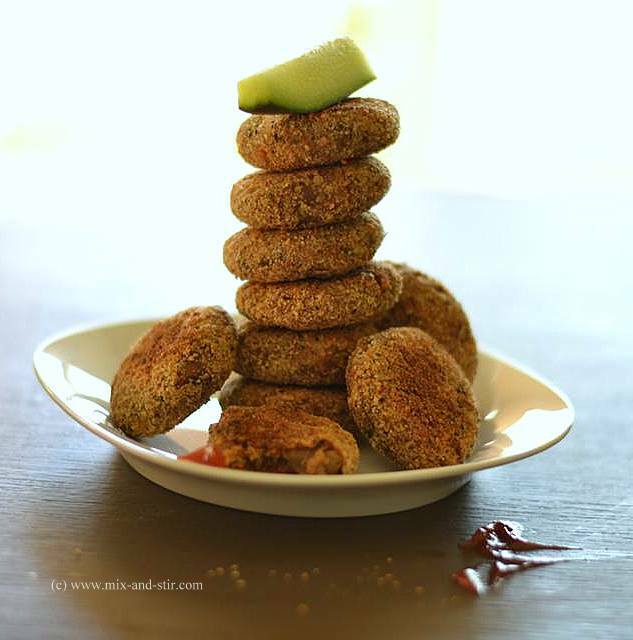 Today I am going to share a recipe of cutlet, rather healthy cutlets. Did it sound weird, cutlet and still healthy! 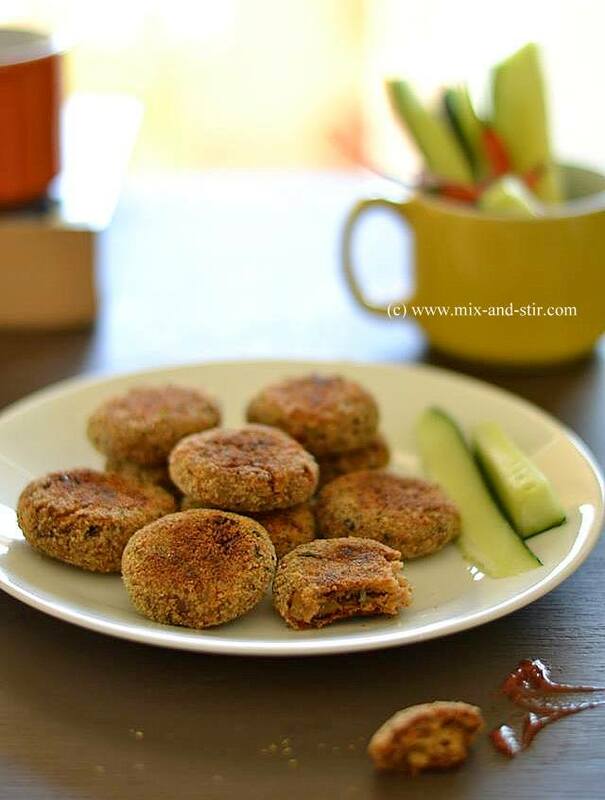 Yes, when you bake your cutlets instead of deep frying, it is no more junk or fast food. So you don’t need to resist your temptation and stop after having only one! Keep on eating more, one after another till your stomach is fulfilled. The taste would be as good as deep-fried one. And if nobody tells you that these are not fried, you won’t be able to differentiate. 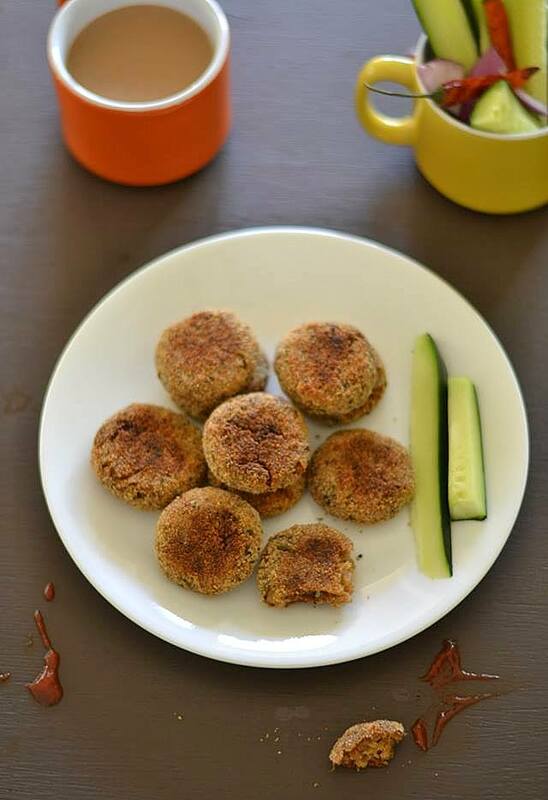 Fish Cutlets are always tasty and no exception with this Tuna Cutlet. As the canned Tuna is always ready to use, you don’t need to wash fish pieces and cook them first, just mix with the spices and make the cutlets. You can use fresh Tuna instead of canned one. If you don’t like Tuna, try this recipe with any of your favorite fishes. I generally use the Chunk Light Tuna Can (in oil). If you don't count the calorie you can deep fry them. Its shape can be anything as you like. But if you want to put this cutlet in sandwiches or hamburger, shape it like patties. Sometimes when I have leftover cutlet, I bake again slightly and put them in the burgers or sandwiches. 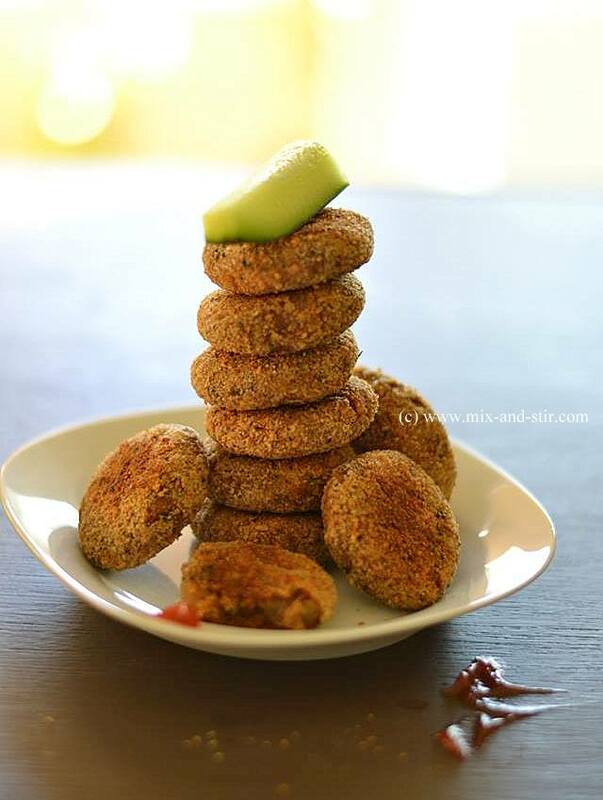 This is a perfect tea time snack or goes well as a party appetizer. Kids would love them too. When you make these cutlets for kids, just skip the green chili part. 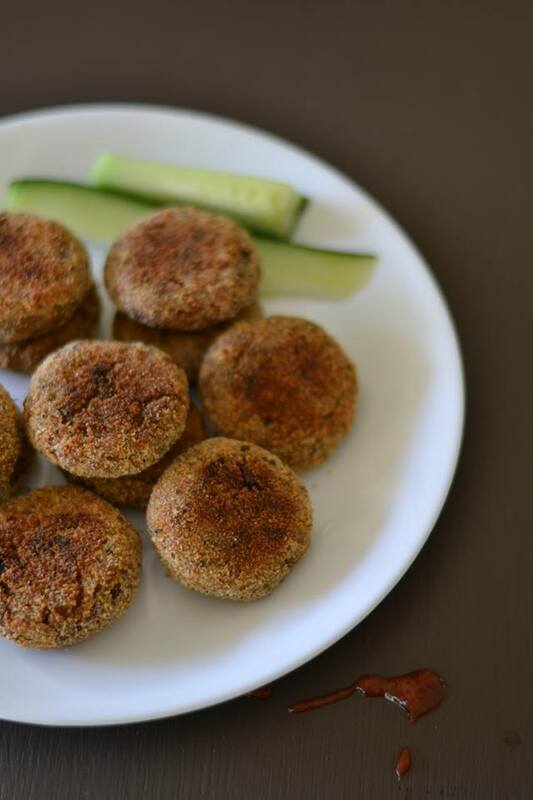 The entire process of making this cutlet is so easy and fast! 7. Green Chilies - 1 or 2, as per taste ( optional ), if you want to avoid green chilies, you can use black pepper powder or Red chili powder. 1. Open the can of Tuna, drain the oil and keep the Tuna aside. 2. Take a big pan, put 2-3 tbsp oil and heat it up. Add the cardamoms, cinnamon stick, cloves to the pan. Once they are fragrant, discard them from the oil. 3. Add the chopped onion to the pan, saute it till it changes the color to light brown, add ginger and garlic. Stir it, cook until the raw smell goes off. Add the chopped tomato to it, sprinkle some salt. Cook it till the tomato becomes soft and smashed. 4. Add the coriander powder and green chilies. Stir it and mix it, till oil starts separating from the sides of the pan. 5. Add the Tuna, mix it nicely with the spices, and keep stirring for 5 to 6 minutes more or until it is well cooked. Add the potato, smashed it with a spatula and mix well with Tuna. Here potato will help the mixture to bind it nicely. 6. Add the chopped cilantro and add the grated cheese to the pan. Give some good stirs and mix it well together. 8. Divide the mixture 8 to 10 equal balls, give them shape into round or cylindrical. 9. In a small bowl whisk the egg with 2 tbsp water and on an another flat dish spread the breadcrumbs. 10. Take a ball first dip into the egg mixture, then roll it on the breadcrumbs till it gets a nice coat of breadcrumbs all over it. Do the same process for rest of the balls. 11. Take a baking sheet, grease it with non stick spray. Place the Tuna cutlet on it and nicely spray with non stick spray. 12. Preheat the oven to 400 degrees F or 200 degrees C, bake them until they are evenly golden brown on both sides. In between check it, turn the other side and again spray lightly with non stick cooking spray. It takes approximately 5 to 7 minutes for each side to be done. 13. Serve hot with dipping sauce. Note : Be careful while adding salt as the canned tuna is already salty, same with the souring agent. If you do not like canned Tuna fish, use any white fish of your choice ( shallow fried or boiled ) and follow the same recipe. Very nice Rumela. Another addition I would suggest is a handful of raisins thrown in. Thank you so much :) yes definitely I will do next time. It would be more tasty! yes Rumela, this would work as well as the deep fried ones.